Help the stem of your favorite flower or climbing vine grow upward and strong with the Panacea Green Coated Plant Stake. Placing a stake alongside your climbing plant offers it a stable support as it grows, helping it form a robust root system. This 24" long stake easily accommodates daisies, sunflowers, or even small vegetable plants, and blends with the stems thanks to its dark green, plastic coating. Raised nubs along the shaft add texture, allowing plants to better grip the unit, and the pointed end inserts into soil easily. The metal body ensures durability, for a lasting support. Give your plant wonderful support as it matures with this Green Coated Plant Stake. 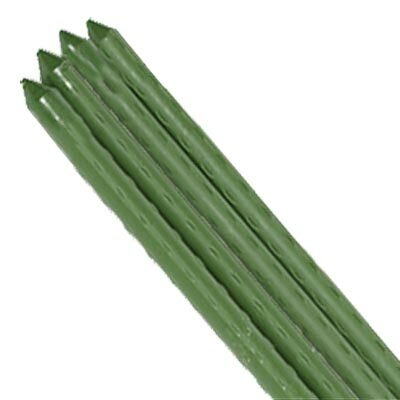 Note: This case pack includes 50 of the Panacea Coated Plant Stakes, Green, 24".